Im Bored as, So i guess ill post up some Pics of the flutter Mobile. it's not quite the car that it was in the hands of boost boy tho! He made that flutter his own! Love those rims... Car looks great champ. 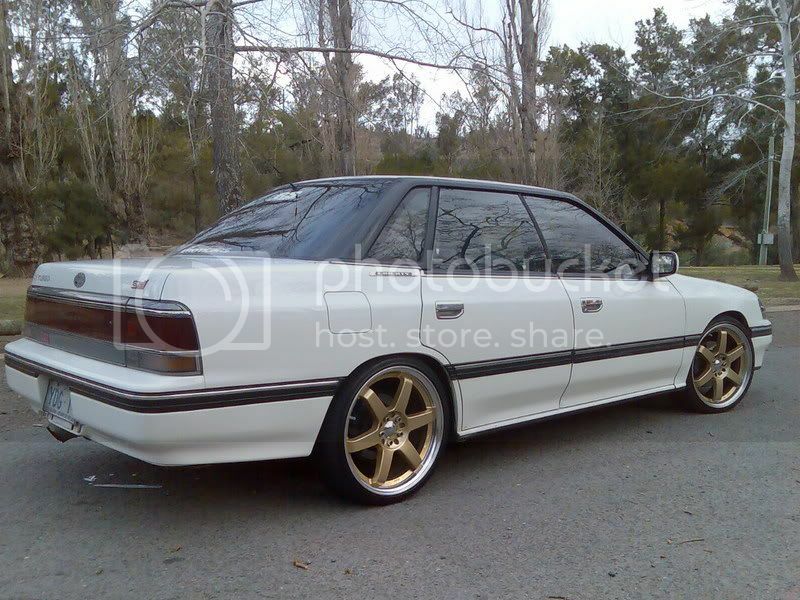 nice mate, i like those wheels...seem 2 hav some sort of resemblance 2 mine....brand? 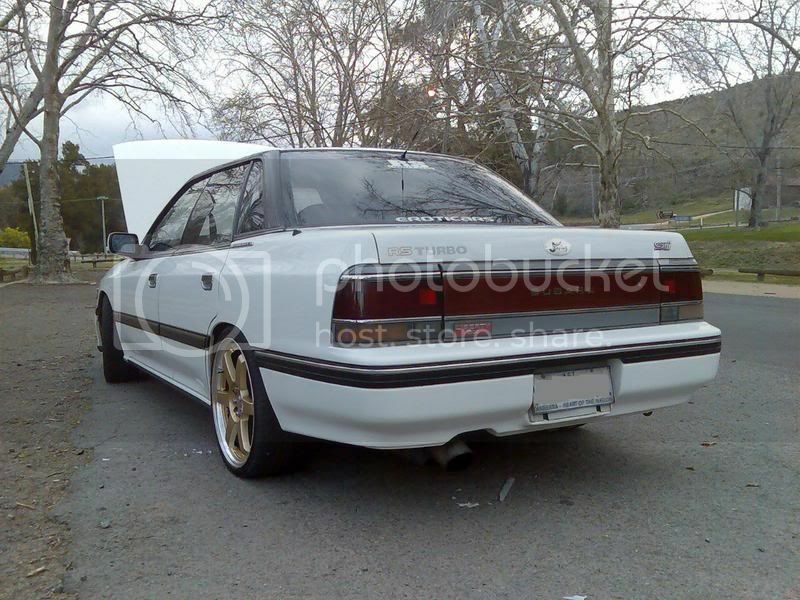 Nice car man, Cant wait to see it in person. looks good mate...love the libs!!! Thats car looks just the same as mine, very nice! <----Good ol Cotter Dam photo. Same carpark as my Av photo. ha ha, I was waiting till this was posted up sometime.. It still needs to be dropped another inch all round like when I had the coilovers in it. Had a lot of fun in that car. Still the best fluttering liberty I have heard..
smoking all 4 you say Dave....hahaha lookie lookie at my avatar! Yeah, Would love to see the Pic Dave. Im still learning the Limits of the car At the moment, But Next on the agenda is some suspension mods (RSB, end links, coilovers), Bigger Turbo, Injectors then possible back to straight cuts!!! Thanks for the grwat comments guys.. I will be taking the car to Micks (datman) soon to put in a new centre bearing mount and the steering rack which i got from CRZYRS. Good to see a nice series 1 kicking round! 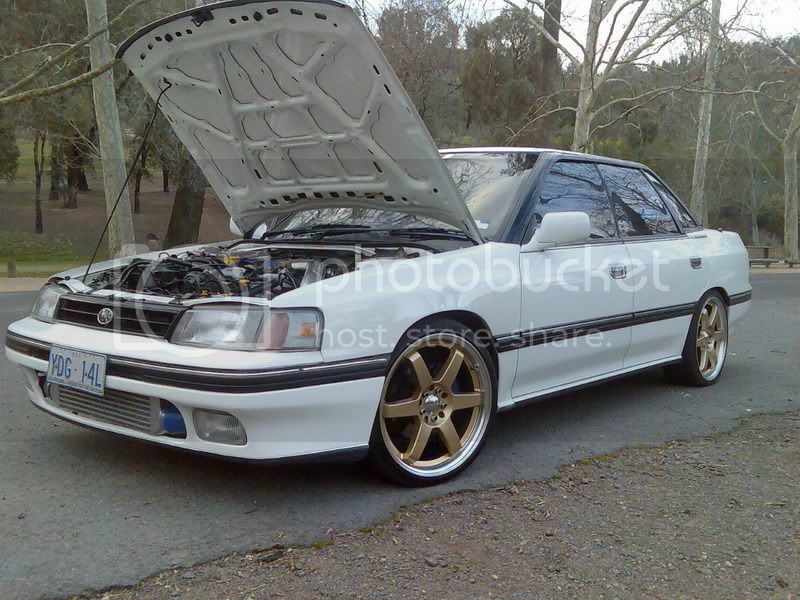 thanks mate, you dont see many series 1 Libs anymore...especially in canberra, since Paul (cruiseh) stripped his car there is only two other i know..a white Liberty RS and a yellow OMG SICK legacy RS with c west kt and GT wing, but that car has had about 10 owners in about 5 years. and was once in hot4s. 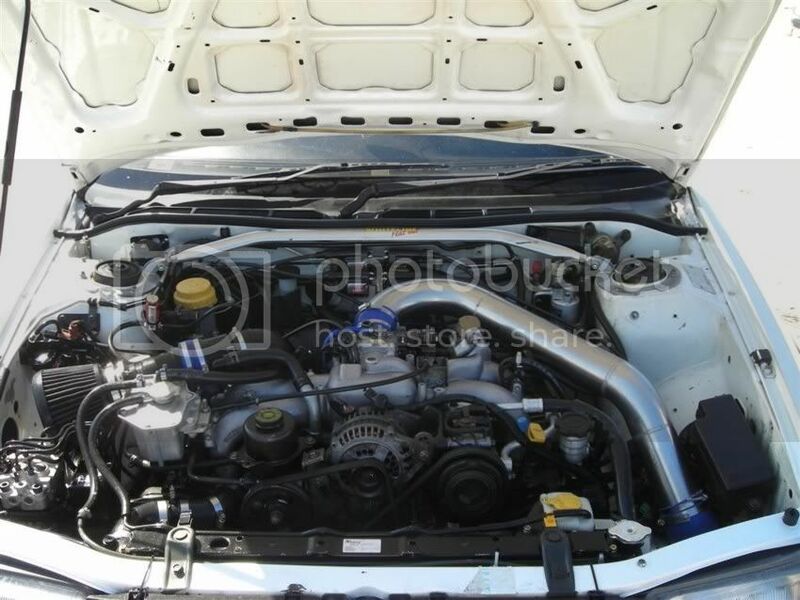 As for the bigger turbo...Either a VF34 or 23 might be on the cards soon, depending on funds. Over the past few months i have had a problem with the car stalling/dying randomly, after taking it to a few well known workshops and a few hours on the dyno.. we still couldn't find the problem. I was stuck for idea's and started going through a phase on wanting to turn the car into a rolling molitov cocktail. Mick (Techworkz) stood up and told me to let him take a look at it. and Viola after a leaving the car with him for abit i got a call saying its running Beautifully. :) Techworks FTW! i couldn't recommend anywhere else. Will take some recent pics soon enough. the vid i have on youtube is crap.. taken off my fone and just pathetic... hear it in real life and its crazy. search the forums/ youtube for when dave had it.. those video's are much better quality. Very nice ride there Lance, an owning a loud fluttery RS also i can say that yours does have a real unique sound. I want it back now too. That'll teach you for selling out to go to the dark side! Yeah straight cuts are on the cards in the next few years (NOTE: YEARS).. $6.00 per hour isn't getting me anywhere at the moment. I took off the BOV yesterday and Jebus Christ it has loud flutter.. like intensely loud, gets head turns every time. its an awesome car and im loving it to bits. Im always up for a cruise Josh.. your in ACT yeah?